I bought a waffle maker about a year ago when I was craving singapore-style soft waffles. I’ve always wondered if Belgian waffles would turn out well as home. The only reason I hadn’t tried making them, was because I couldn’t find pearl sugar in Melbourne. The other night I came across a tip in a food blog for a pearl sugar alternative. Place some sugar cubes in a ziplock bag and crush them with a rolling pin or back of a heavy knife. Then sift out the powdered sugar. What should remain in your sift are small pearl-sized pieces of sugar. Easy! These waffles turned out a treat. I used this recipe, with a few changes. Mix water, yeast and sugar and set aside for 15 minutes until bubbles form. In a large bowl, add flour, yeast mixture, eggs, salt and vanilla essence and stir well. It should be a gloppy mess at this stage. Using your fingers, add the butter a few pieces at a time and knead into the mixture. When the butter has all been added, cover the mixture with kitchen paper or cling wrap, set aside until the doubles. Stir the sugar pieces through the dough. 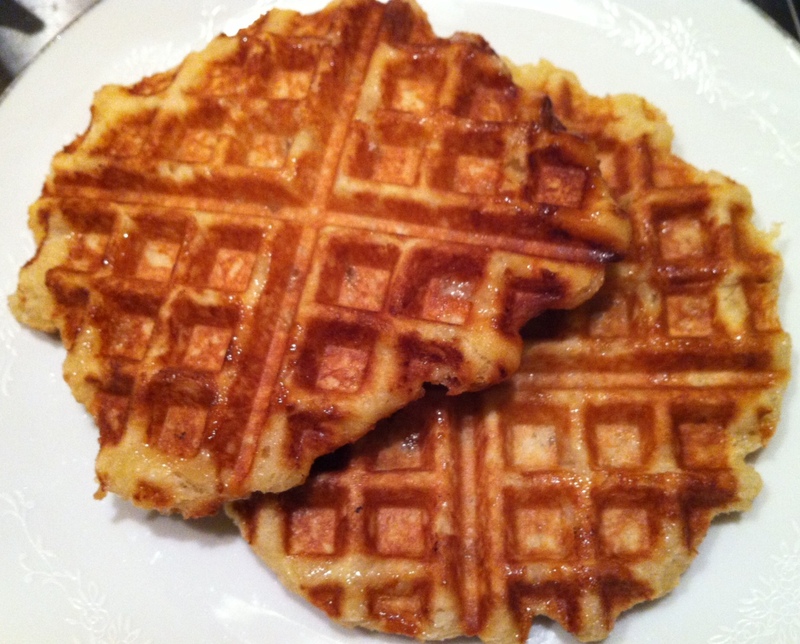 Heat your waffle iron, drop about 3 tablespoons of dough into the centre of the hot iron and press down. Cook as per manfacturer’s instructions. The waffles will crisp up as they cool, so don’t over cook them or the sugar will burn. Enjoy!